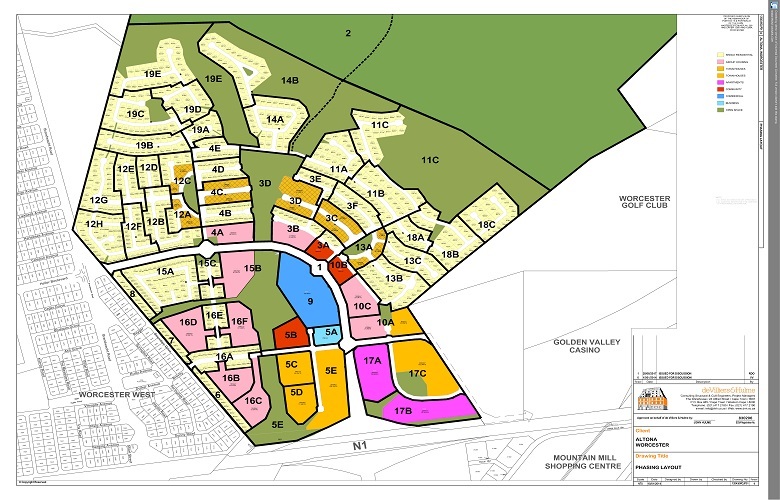 Altona is primarily a residential development in Worcester and consists of 1970 residential opportunities, a service station site, 4Ha of commercial land, three institutional erven for churches, schools, etc. and a 200Ha private nature reserve. A substantial portion of this large “township” has been serviced and the first houses have been sold with outside developers having bought individual erven which is in the process of being developed. This new contemporary development in Worcester is due to become the new “address” in town and is attracting many upcountry buyers.